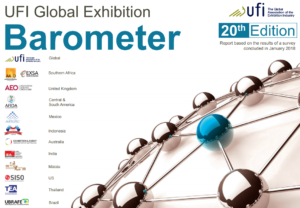 The UFI Global Exhibition Barometer is a survey answered by almost 300 companies from 53 countries, painting a genuinely global picture. The results detail development for 17 geographical zones, including 14 major national markets, and in broad terms reveal positive trends for the exhibition industry. The good news is 2017 appears to have been a generally profitable year, although fewer than half (44%) of the companies we approached said their operating profits were actually growing. The exhibition industry continues to be an expansive industry, with notably positive trends emerging in the mature markets. Four out of 10 companies say they will develop operations in new countries, with this number highest for companies in the UK, the Middle East, China, India and Germany. 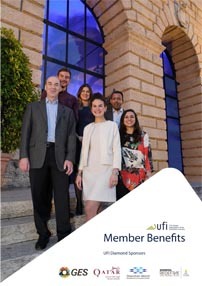 What I found interesting to note by looking at this particular edition of the Barometer, is our members’ increasing interest in revenues derived from new business models. Different event formats, digital revenues, or marketing services are listed as opportunities, with these new models a strategic priority in the short to medium term. Globally, 63 per cent of participating companies expect between five and 25 per cent of their revenue to come from new business models five years from now. Eleven per cent expect this share to be even higher than 25 per cent, while 19 per cent expect it to be no more than five per cent. Look further ahead to 10 years and more than half of the companies we approached expect new business models to account for at least 10 per cent, with 24 per cent expecting to make more than a quarter of future revenue growth from new business models. Chinese companies are by far the most optimistic about new business model revenues. Only 21 per cent of participating companies expect the share to be below 10 per cent. It’s not all about the future of course, the present poses plenty of its own challenges. And here there is great variety in responses too. In the Americas for example, ‘internal challenges’ are regarded as more important business issue than ‘global economic developments’. In Europe however the impact of digitisation is a primary concern, perhaps as a result of new General Data Protection Regulation (GDPR), part of the EU Digital Single Market strategy. While this stands to open up digital opportunities and enhance Europe’s position as a world leader in the digital economy, it has major implications for our industry, which trades on the collection and transfer of data and personal information. Those new revenue streams we derive from digital development may be potentially lucrative, but as the saying goes; nothing worth doing ever came easy.